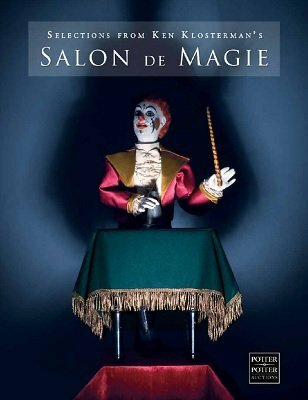 Selections from Ken Klosterman's Salon de Magie. Auction held Saturday, October 29th 2011. Including Apparatus, Books, Ephemera, and Posters; and featuring his collection of Magical Woodcraft Manufactured by F.G. Thayer and the Owen Brothers together with property from other consignors. 1st edition 2011, 81 pages.